Indigo Youth Movement is a registered non-profit organisation with PBO status currently running after school skate workshops every day of the week in both the Zulu community and in the greater Cape Town ghetto areas. Skateboards for these programs are supplied by Element Skateboards, while Laureus / Vans funding is used for the wages, operating costs and food for our after school skate programs. Element Skateboards: This leading skateboarding brand has been supporting Indigo since 2001. Element is one of the largest skateboarding brands with their own NGO Elemental Awareness which promotes nature survival skills and conservation. Our collaboration has been instrumental in our growth. 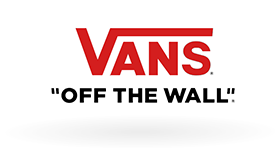 Vans: Vans®, a VF Corporation (NYSE: VFC) brand, is the original action sports footwear, apparel and accessories brand. The Vans brand promotes the action sports lifestyle, youth culture and creative self-expression through the support of athletes, musicians and artists and through progressive events and platforms such as the Vans Triple Crown of Surfing®, the Vans U.S. Open of Surfing, Vans Pool Party, Vans Custom Culture, Vans Warped Tour®, and Vans’ cultural hub and international music venue, the House of Vans. Laureus Sport For Good Foundation: Indigo was the first skateboarding development initiative funded by The Laureus Sport For Good Foundation. Indigo and it’s staff attend conferences around the world with 160 other Laureus affiliated projects to learn how to "utilise sport for social change".